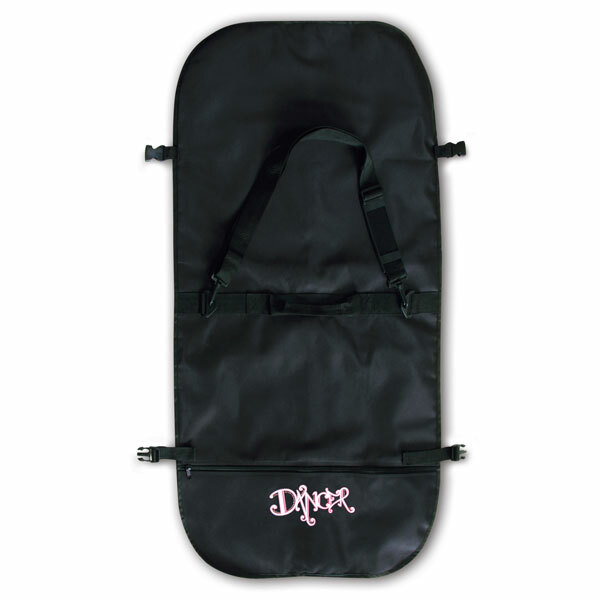 Folding garment bag with durable microfiber outer fabric and light nylon Inner fabric plus full length zipper to accommodate multiple garments. Outside full length horizontal zipper pocket plus four inside zipper pockets for personal items, gear or shoes. Bag folds in half and latches for easy transport and includes a handle and shoulder strap. Rhinestone “Dancer” artwork completes this bag.